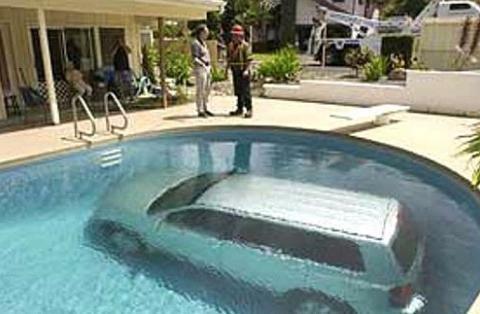 car in the swimming pool. . Wallpaper and background images in the अकल्पनीय club tagged: car in the swimming pool. Please tell me it's an illution.....OMG!! !